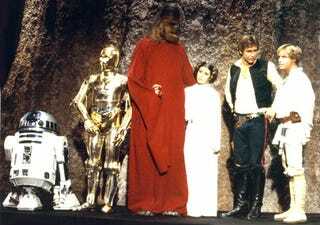 Reminder: We will be watching Star Wars Holiday Special TONIGHT (Dec. 26, 2013) at 9 p.m. for TAYV Movie Night. If you are new to this, please send a message to Zarnyx or Zarnyx Uriel on AIM to be added to the chat. Zarnyx will be there around 8:30 p.m. Be there for Life Day!!! As for me, UI 2.0, I may be late for Life Day Movie Night. Rest Assure, I've celebrated Life Day watched the Special a day early just in case I don't make it in time. The movie is in the link in case you need it.